Home › Solar Battery › Tesla Battery in South Australia completed. 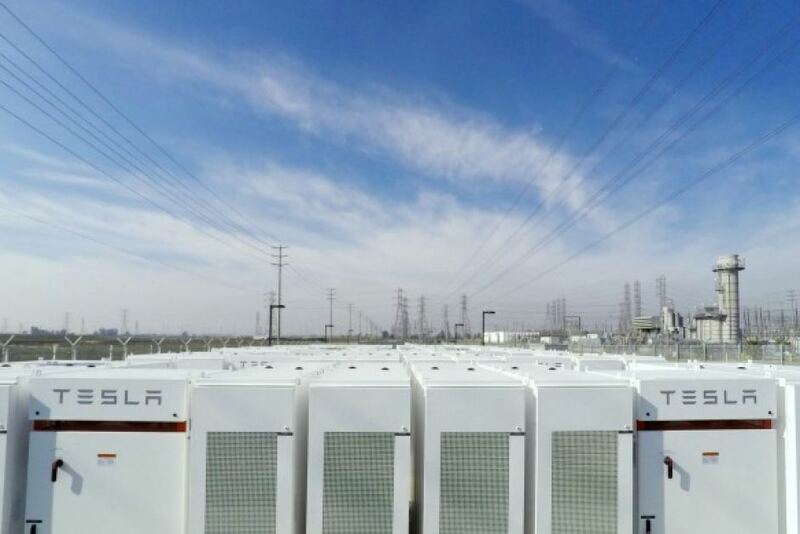 Elon Musk’s 100MW Tesla Battery in South Australia has been completed – well ahead of its December 1 operation deadline. The array of Tesla Powerpack batteries will be tested over the coming days and we can expect the system to be fully live by next Friday. The Tesla South Australia battery partnership was first inked back in July when Musk partnered with Neoen and signed an agreement with the South Australian government to create the world’s largest lithium-ion battery. The battery farm is powered by Neoen’s 315MW Hornsdale wind farm and is located adjacent to it in Jamestown, about 200 kilometres north of Adelaide. The $50 million system is capable of outputting 129MWh and can be used as baseline power during summer peak loading periods, where it can provide enough energy to power 30,000 homes for eight hours, or 60,000 for four. While this might not seem like a lot and one wonders if another company could have done it for cheaper (91 groups bid for the project), it’s definitely been a great way to raise awareness of energy storage in Australia and its rapidly rising uptake (and rapidly decreasing cost). “Over time, storage can help put downward pressure on prices because it can flatten out peak demand,” Wood said. In the meantime, Tesla continues to burn through cash at the rate of $8,000 USD / minute as they struggle to get on top of the Model 3 rollout. What does this mean for the Powerwall 3? The next 12 months will be extremely interesting for Elon Musk and his ‘blue sky’ investors – we hope they’re able to get all their ducks in a row and Musk can start making Tesla more cashflow positive. In the meantime, let’s see how Tesla’s battery works over summer for South Australia!